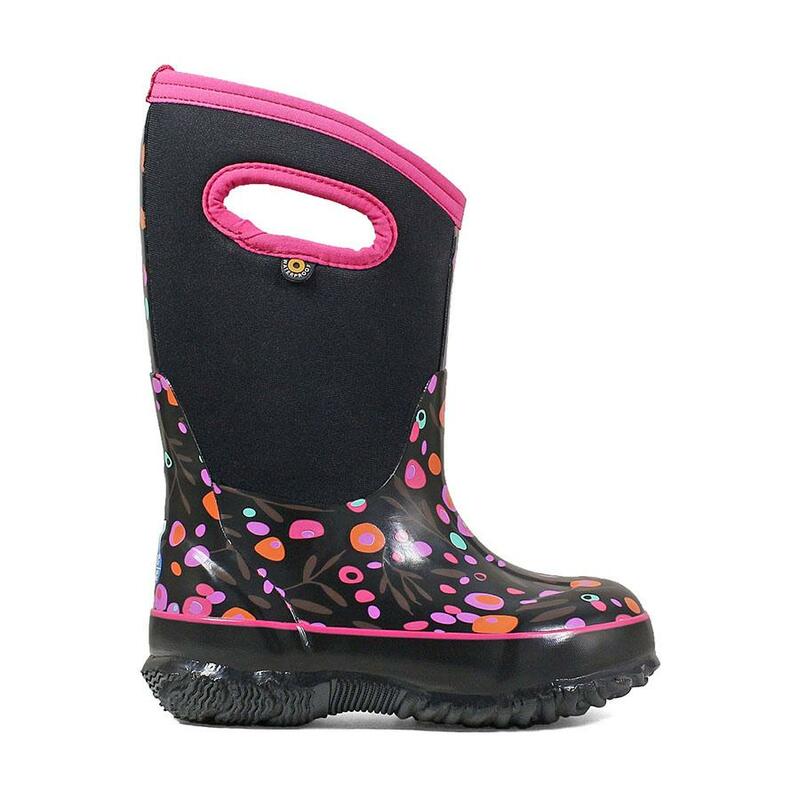 All weather boots for kids who explore & play. You'll never hear your kids complain about wet or cold feet with the Kids Classic. Subzero Neo-Tech insulation keeps kids playing outside for hours while side handles make them easy on and off. Protects from the elements in any season. Four-way stretch inner bootie provides insulation and comfort. Lightweight fabric that absorbs and evaporates sweat. The highest standard of chemical and slip resistance. Earth-friendly bio-technology that activates to fight unwanted odors. Guards against snakebites and prevents sharp objects from piercing the boot.